Measurements: 33mm long measuring top to bottom as pictured X about 28mm wide. Characteristics: These are concave. They have 4 beading holes. 1 at the top and 3 along the bottom. You receive 4 pieces, 2 left facing and 2 right facing pieces. 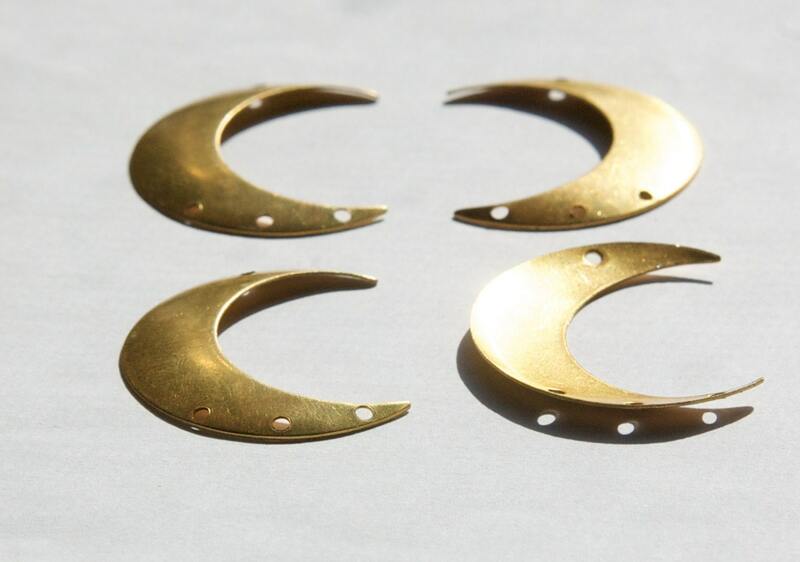 If you would like all Right facing crescents, you can find them by searching mtl110G. 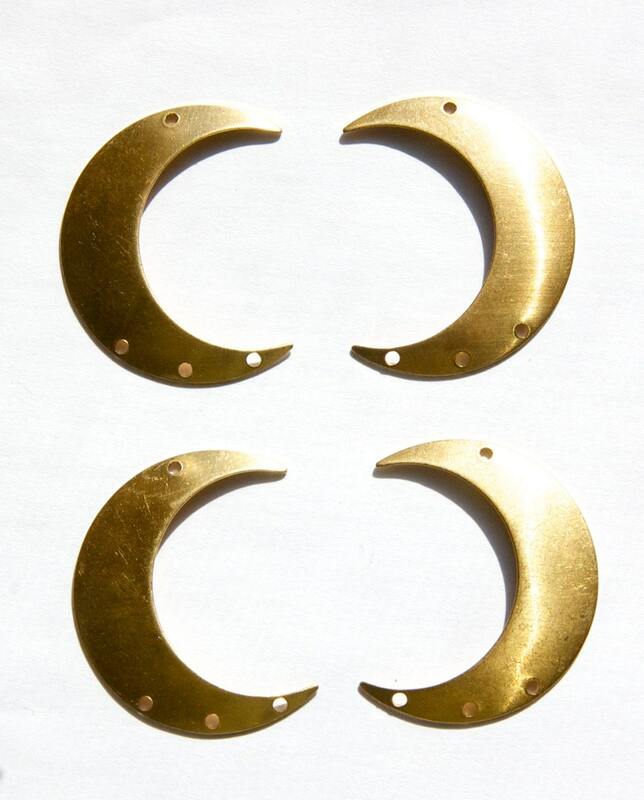 If you would like all Left facing crescents, you can find them by searching mtl110H. I love these and they arrived impossibly fast!